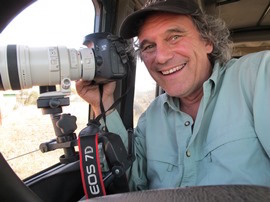 Andrew Peter (Andy) Dobson (2016-2022) is Professor of Ecology, Wildlife Disease and Conservation, in the Department of Ecology and Evolutionary Biology at Princeton University. His research focuses on the ecology of infectious diseases and the conservation of endangered and threatened species. His main areas of interests are the application of theoretical ecology to problems in the areas of conservation biology and control of infectious diseases; the ecology of infectious diseases in natural populations; and the population dynamics and life history strategies. Professor Dobson’s work frames the larger role of the environment in disease processes with the understanding that diseases of humans, domestic animals, and wildlife are linked. His scientific modeling simplifies complex system elements in order to understand which are the most influential—gaining him recognition as one of the world leaders in mathematical modeling of disease systems. His talent to clearly disseminate research related to disease ecology, biodiversity, conservation, and communication–in long-term studies in the US and abroad– has earned him the reputation as a gifted teacher among diverse audiences, known for translating complex topics into understandable terms. He lectures on topics from climate change impact, to conservation biology, to infectious diseases, in understanding and solving pressing global challenges. Among his other accomplishments, he was elected Fellow of American Association for the Advancement of Science, 2013, an Aldo Leopold Leadership Fellow of the Ecological Society of America (1999); was Past chair, US Diversitas Committee (committee of the National Research Council that coordinates the activities of other committees that deal with biodiversity and its conservation); 2006 Wildlife Trust Conservation Award. Numerous institutions including James S. McDonnell Foundation, the National Science Foundation, National Institute for Health, NOAA, and USAID among others have supported his research funding. He is a prolific author with numerous publications– generating countless citations. His most recent book Serengeti Lives (2014 in prep) to be published by University of Chicago Press. He co-edited The Ecology of Wildlife Diseases. Oxford University Press (2001) He also has also contributed articles to Science and Nature. Professor Dobson received his PhD from Edward Grey Institute, Department of Zoology at Oxford University in 1981. See all in Life Sciences, Professors-at-Large, Visits & Events category.